When taking an application-aware backup of a VM running Microsoft SQL (2014 in this case) with TLS 1.0 disabled, you may be presented with a 0x80004005 error regarding SQL log truncation failure. Cannot truncate SQL logs for instance: . 22/03/2017 3:12:02 PM 4404 WARN Description = [DBNETLIB][ConnectionOpen (SECDoClientHandshake()). ]SSL Security error. Updating the DWORD back to 1 (thus enabling TLS 1.0) should make the symptoms disappear, although this is bad practice as ideally TLS 1.0 should not be in use. Nice post, this one was a thorn in my side. 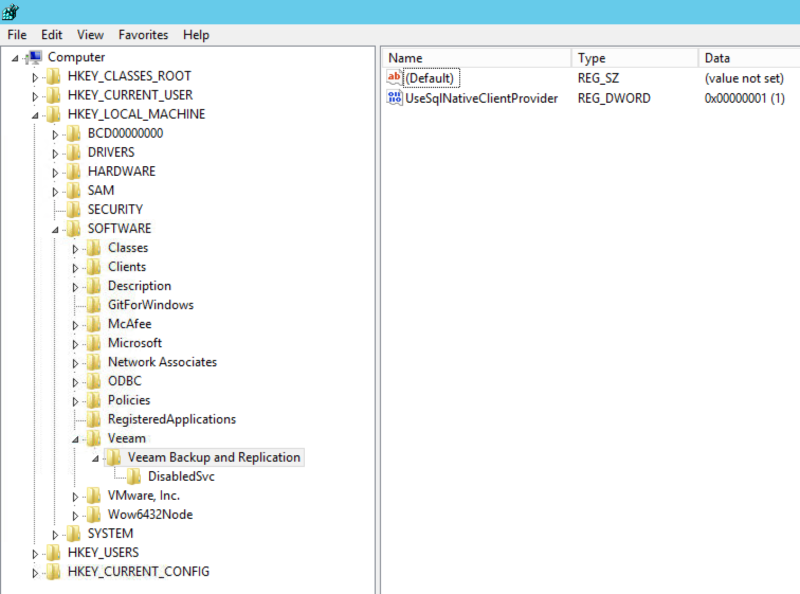 Saved me from opening a case with Veeam. Thank you for the post – resolved my issue! Thank you for this. I reached out to Veeam support and was basically told to contact Microsoft. After I made the suggested change all 3 of my servers are now backing up without warnings. Hi Kane, thanks for your solution. I did not found a solution on Veeam but found your site with Google. After I disable TLS 1.0 for security on my IIS 10 this failure was in my Veeam report. Failed to truncate Microsoft SQL Server transaction logs. Details: Failed to process ‘TruncateSQLLog’ command. 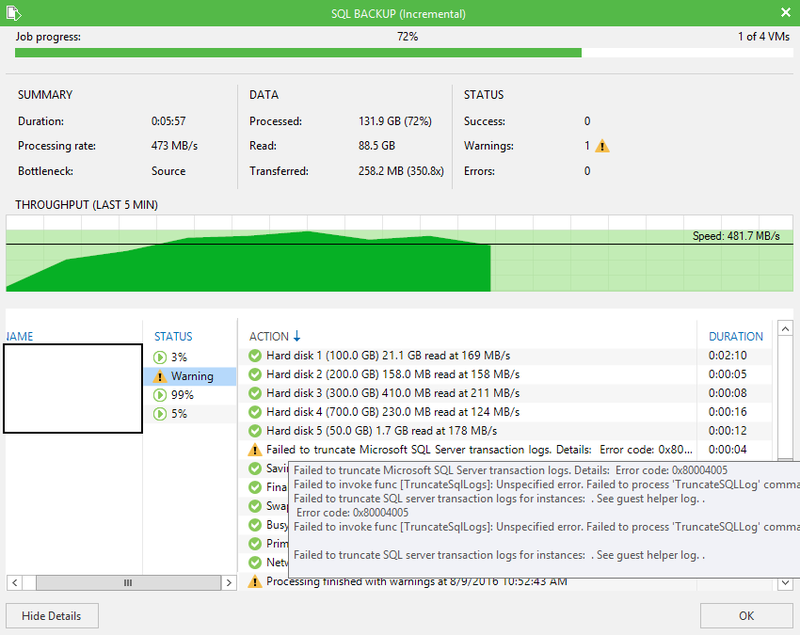 Failed to truncate SQL server transaction logs for instances: SQLEXP. See guest helper log. . Thanks for your feedback. Unfortunately I’m not aware of how to fix that issue, do let me know if you get a fix.